We harvest and custom process beef, hogs, and lamb.It is important to us to get your cutting instructions on how YOU want your meat cut. 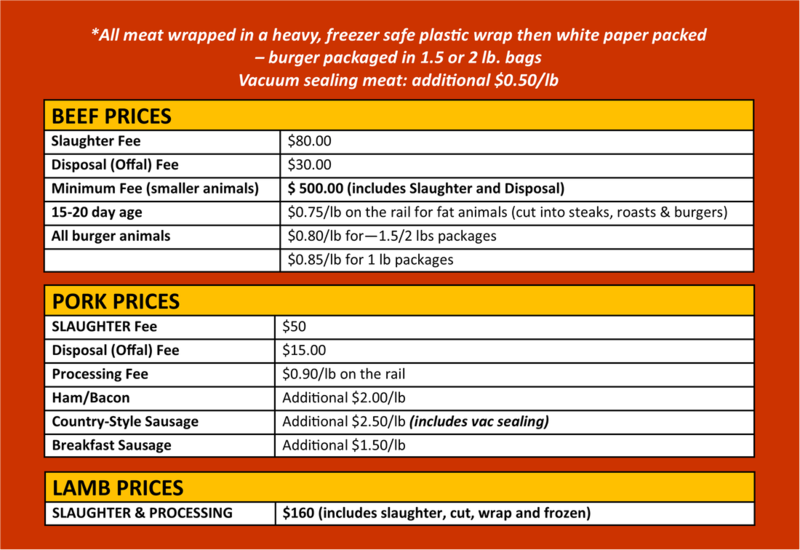 We also offer several specialty sausage products that will add some excitement to your freezer. Our facility slaughters under ND State inspection (only) to ensure the quality and safety of our meat. Why no T-Bones after 30 mo. old?